Facing east towards a volcanic island just over the horizon, the fortified city of Dawnharbor earns its name because of the astounding sunrises seen from the mountains along the region. Dawnharbor itself is tucked into a low outlet where the Hero’s Branch river crawls out of the mountains and into the sea. Built around a number of fortifications, the city has seen several stages of growth and multiple curtain walls have been built to defend the city as it grew. The most visible fortification from most approaches is the Fairie’s Citadel on the south side of town built on a low rise of the mountain. The citadel houses Count Agatenios and his retinue as well as most of the men at arms of the city – however for most military matters the Count relies on his old friend Lady Larosine the Blue who masters the defenses of the city from the Blue Fort cut into the side of the mountain itself on the southwest side of town, looking down over the harbor and the first walls of the city. This map was drawn as a request for one of the awesome patrons of my Patreon Campaign. Stan Shinn asked for a city with castles, preferably by a jungle or mountain. 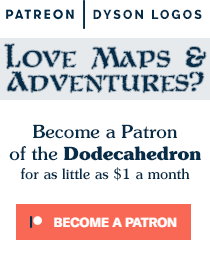 I try to ask my patrons for requests for future maps every three to five months and then work through the requests I get as they draw my attention. This particular map is one of the more detailed city maps I’ve drawn, and I really like how the different sizes of buildings came together along with the organic feeling of the city’s growth. 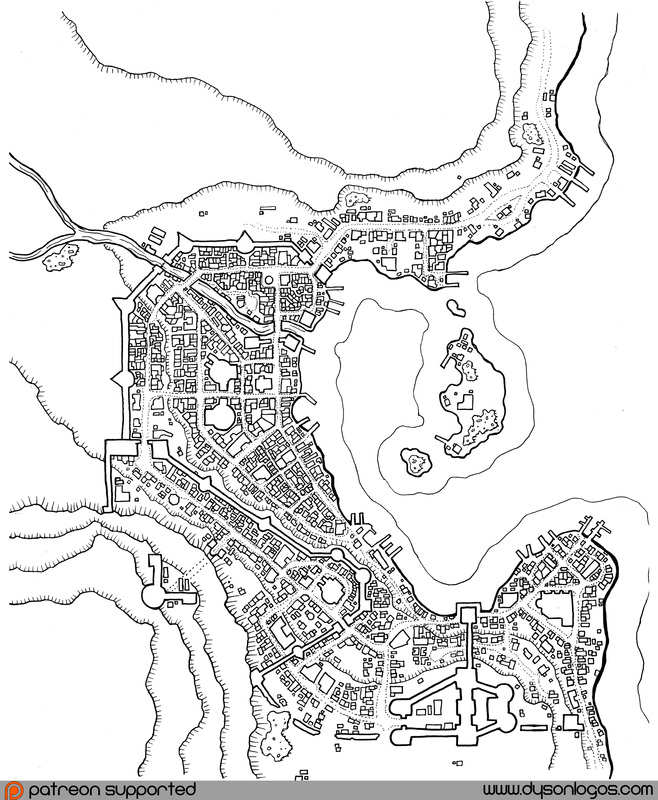 From the map I would say that Dawnharbor is in the midst of one of its growth stages: My immediate take is that the Fairie’s Citadel was built on a rise outside of town and has attracted construction in the south east. On the existing coast road, favoured by some of the upper class folks building new homes on Citadel Hill, (as it keeps the traffic away from them), and the merchants of The Chin, (as it’s convenient for them). Right by the gate to the citadel, favoured by the rest of the upper classes and the merchants of the old city and the New Market in the north due to it not requiring a detour through The Chin to go out. A bit west of the citadel, (where that gap in the wall is), offered as an alternative by the commanders of the men-at-arms in order to avoid having to rebuild the citadel’s gatehouse and having both gates right on top of each other. This is one of my favorites. The level of detail is amazing! Hope to make use of it in a campaign someday. Could you perhaps give a post at some stage explaining how you get rid of the grid for the final product? As everyone else, I have to salute your work, of course; it is inspiring.